Your Partner’s Atmakaraka (Essence Planet) Reveals Their Core Human Need! I’ve been watching Tony Robbins, Life, Business, and Love Coach, one of the best living examples of a Jupiter Atmakaraka person ever. What he is teaching, and what I want to tell you about the Atmakaraka (the AK, Self-Producer Planet) and the Darakaraka (the DK, Spouse-Producer Planet), fit together beautifully. 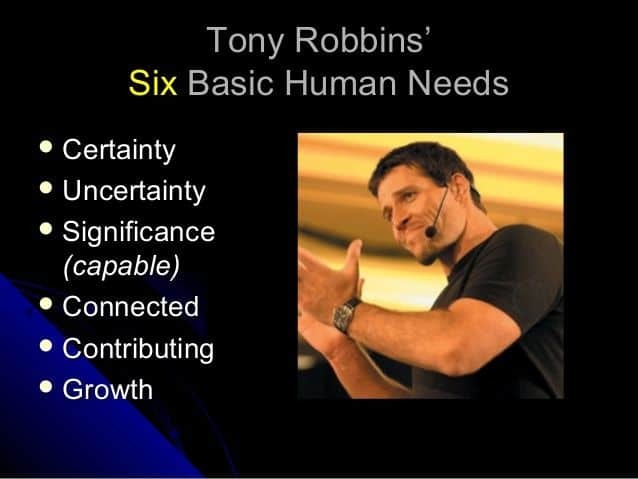 Tony often talks about the six (6) core human needs. They are universal and apply to all humans, and when you know a person’s AK, you know which of these needs they need the most. Knowing the “Atmakaraka” planet, the AK, of your partner, means knowing which of these six core needs they need the most. While we all need these things, we need them to differing degrees. For example, say your spouse is a Jupiter AK person. Your spouse will have all of the above six core needs, but the cores needs of Growth and Contribution will be the deepest needs of them all. If you want to influence your Jupiter AK spouse, then be a person who also believes in growth and contribution, it doesn’t have to be to the same extent as your Jupiter AK spouse does. But you make a point of supporting their stronger need for growth and contribution. If you want to persuade your Jupiter AK spouse to be part of something that is dear to you, just put it into the language and the terms of growth, expansion, contribution, and giving back. If what you want to do is helpful to someone in some significant way, then your Jupiter AK spouse will make your cause, their cause, too. If you want to make your Jupiter AK spouse very happy, then let them contribute to you, support you, and make YOU happy in some way. Jupiter AK people live to give, and they want to see that they are helping you to attain ultimate happiness. How Can You Help to Fulfill Your Lovers DEEPEST Needs? My spouse’s AK is Saturn, and my AK is the Moon. He values Certainty/Security more than I do, and Connection/Love means more to me than it does to him. Of course, he needs love/connection too, and I need security/certainly also, but we each need them to different degrees. If we were business partners rather than spouses, my need for connection would make me the best person to interact with our clients/customers and nurture those ongoing relationships, and his need for certainty would make him the best partner for future planning such as market testing a new program or product before investing our resources. Quicker, simpler and easier than taking a long, confusing personality test, or learning by trial and error (mostly error because we all tend to think our partners have the same needs to the same degree as we do), or marriage counseling! DOWNLOAD the digital course: “What Planet is He/She From? The “Atmakaraka” in Relationships” and learn how to meet your partner’s DEEPEST needs! (it’s only $69.95). Learn more about it here. The home study course has something for every kind of learner: a written PDF version, six videos, seven audio MP3s, and a worksheet. You can be a total beginner astrology student for this class, or you can be an advanced astrologer. Even if you are not normally interested in studying astrology, with this “snapshot” technique, you will be able to recognize every planetary type of person in your life. Even better, be able to satisfy their soul’s deepest needs.